To gain knowledge on whether you are recycling the right way, read the full article here. By Livia Albeck-Ripka for New York Times. 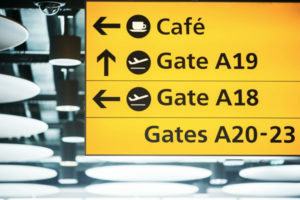 Heathrow plans to cut and recycle all single-use coffee cups collected from more 20 outlets and lounges as part of a longer-term ambition to phase out single-use plastics. The airport estimates that its 78 million annual passengers use more than 13.5 million disposable coffee cups. The London hub has set a target to standardise and recycle all single-use coffee cups by the end of the year and continue efforts to completely rid staff areas of these cups. By Phil Davies for Travel Weekly.